There’s no need to worry about stained silverware in the home this holiday season. With a simple solution from the house cleaning experts at Santopi Cleaning, silver throughout the home will be shining soon. To polish your silver, all that’s needed is a cake pan, aluminum foil, baking soda, and water. To get started, line the cake pan with aluminum foil and fill the pan with water, adding one tablespoon of baking soda for every two cups of water. Once that’s set, put the silverware in the pan and heat it to 150 degrees, making sure all the silver is touching the foil. The rest will take care of itself. 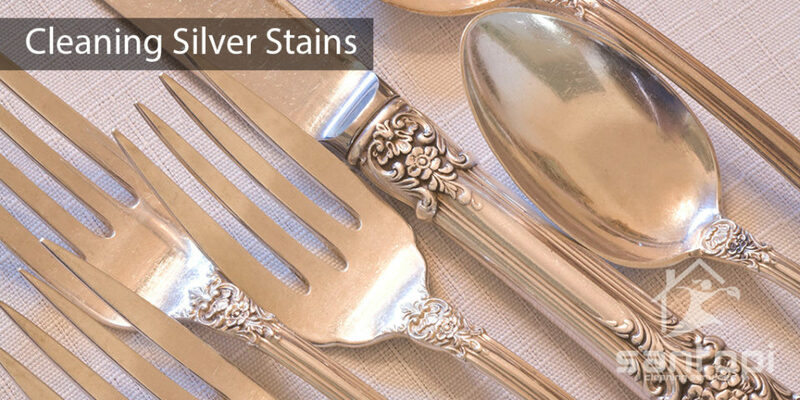 The stains will start to dissolve on their own and the silverware will look as good as new. Santopi Cleaning has even more advice on cleaning around the kitchen between your professional house cleaning services.